Many people know that I have had horses for years. And like me, I’m sure you get frequent requests from people who want to ride your horses. Does this sound familiar? 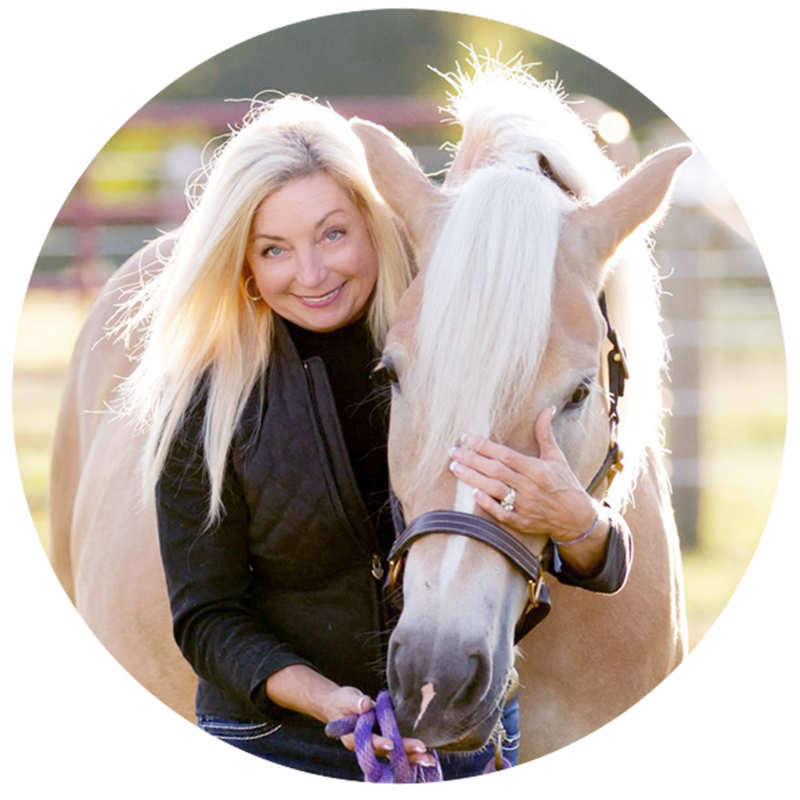 “My children love horses, they have always wanted to ride a pony!” Or, “I used to ride horses (at summer camp), I know all about them, could I ride yours some time?” The automatic answer is “Sure, just let me know when!” But afterward, we realize that this is not just a “ride”. Tip 1: Any first-time rider should have instruction before they take their first ride. This takes extra time on your part, but it is a very necessary step. If not, it could be dangerous for them, as well as you. I talk to numerous people, and many times the subject of horses comes up. About 90% of one-time riders tell me the same story. “Yes, I rode a horse, got bucked off and that was the last time I will ever get near a horse.” The accounts amaze me; horse bites, riding run-away horses, saddles that fall off, getting kicked, and all because the horse owner did not give any instruction beforehand. I try to explain that if they would have known a few simple things before they got on the horse, they truly could have had a wonderful experience. Most people shrug and say ”never again.” With a little instruction, we can help put a stop to these incidents and make first time rides safe and enjoyable. Before a rider ever gets near the horse, we need to explain some key points. Riders of any age should know that you will be assisting them, and they must listen to what you tell them for their safety. One of the first steps we can take to help ensure a great experience is with attire. Tip 2: Proper helmets should be worn, as well as a protective boot or heavy shoe with a heel. 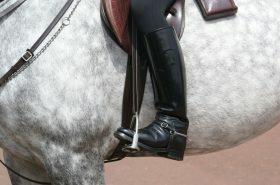 Flat-soled shoes increase the risk of the foot slipping through a stirrup and getting caught-up. Tip 3: If you have protective vests, use them also. Tip 4: During the warmer months, let parents know that long pants are the best attire. Although shorts may keep their child cooler, a pair of jeans will be much more comfortable than a child’s bare legs rubbing against the leather of a saddle. Tip 5: How to touch the horse by gently petting, not patting, with easy movements. Explain that horses can spook with fast movements. Tip 6: Voices need to be kept at indoor levels for smaller children, not outside voices. Tip 7: Explain how to walk around a horse at least 2 arm-lengths away from the horse’s haunches and tail. If younger children are involved, walk with them explaining how far this distance is. 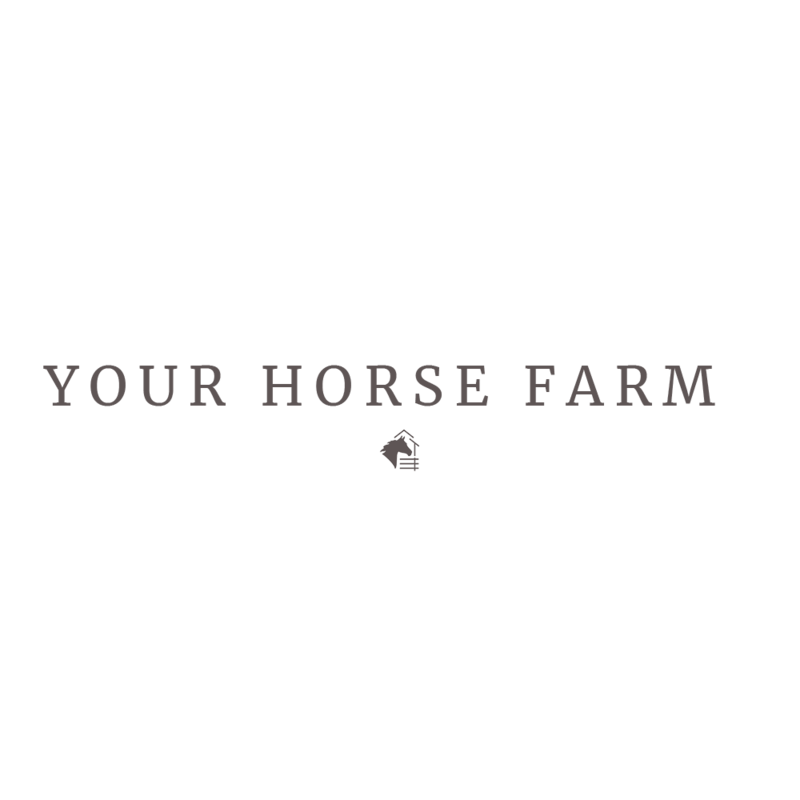 Tip 8: Talk about walking around the front of the horse, touching him as you go, and talking to the horse. Tip 9: Small hands, as well as adult hands, automatically reach to the horse’s head and mouth. Show new riders how to hold their hands. If you allow people to feed your horses treats, show your guest how to hold their hand flat and feed with their palm instead of their fingers. 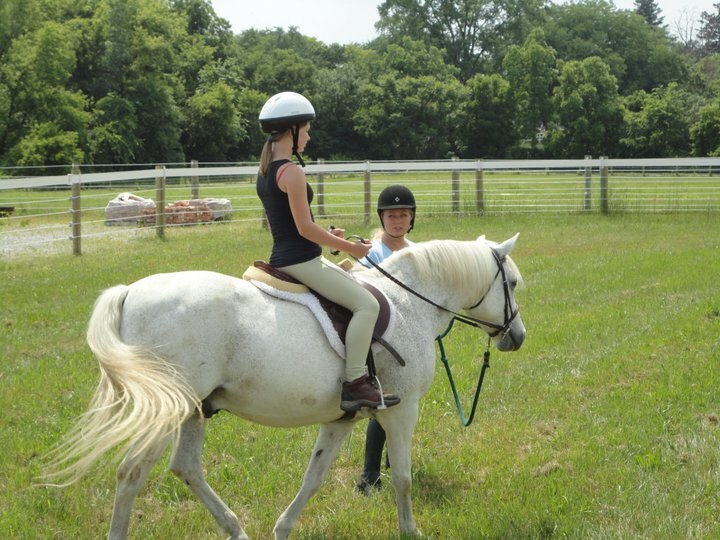 Tip 10: Explain that you stand on the left side of the horse to hold, lead and saddle-up. Tip 11: Show how to lead properly by having slack in the lead rope and allowing the horse to carry his head at a natural level. Tip 12: The lead rope should NEVER be wrapped around a hand or arm. If smaller children have a hard time with a long lead rope, find them a shorter one or help them hold the horse. Tip 13: Demonstrate how to brush the horse, with a curry-comb first and a brush second. Show them how to follow the direction of the horse’s hair. Also, explain the “ticklish spots” and areas where gentle brushing needs to be done. Tip 14: New riders should never ride a horse that is not a calm packer. If older (or younger) riders ask to ride a horse because they like the way it looks, but the horse is too spirited, tell them “no”. It is better to have a bit of disappointment than the consequence of an accident. Tip 15: Once you have groomed and saddled the horse, be sure to use a lead rope or a lounge line with the horse. 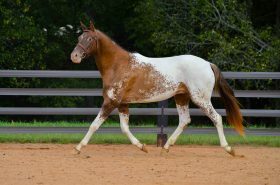 The best scenario would be to have a small paddock or round pen to ride in, in addition to using the lead rope or lounge line. This will give the new rider a sense of security, helping them to relax. Don’t forget how it feels to ride for the very first time. It seems very high from the ground, unbalanced, almost like you could fall. It feels like you’ve lost control, and there isn’t much to hang on to! Take these thoughts into consideration and you’ll realize that a short, well-guided ride is better than a long, unsupervised experience. Tip 16: Due to liability issues, be sure your insurance will cover any mishaps. It is an issue that most of us feel will never come up, but many accidents can turn into more than ever expected. Tip17: Be sure all young riders under 18 have parents present with consent to let their child ride. Be sure all older riders understand that accidents can happen, and they are not going to hold you liable. Tip 18: Contact your insurance company, the experts in this area, and get their advice before you let friends ride. It’s worth it. 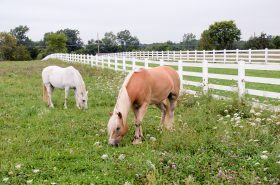 Tip 19: Additionally, check the equine liability laws in your state. Some states require that signs be posted throughout a facility, while others require signed waivers. Some require both. Make sure that you follow whatever your state requires so that you, your horses and all riders and spectators are protected. 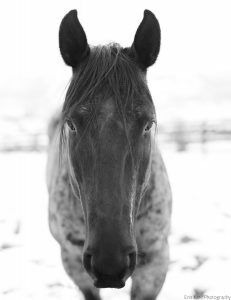 Tip 20: Give the gift of kindness when you think about allowing someone to ride your horses. Be sure it’s a safe, informative, and fun experience. After all, we all have our passion because we truly enjoyed a horse ride-way back when. Pass it on!